Weapons are evidence. Most carry marks that identify them uniquely, allowing them to be traced back their manufacturers. From there, the sources of illegally circulating weapons can be identified through analysis of transfer (supply) records, such as sales receipts, shipping dockets and end user certification. Weapon tracing aims to identify the point in the transfer chain at which a (typically) legal weapon enters the illegal market: a phenomenon known as diversion. Diversion, whether through negligence or deliberate policies, is one of the world's main sources of weapons and ammunition to insurgent groups, terrorist organizations and areas affected by high armed crime levels. 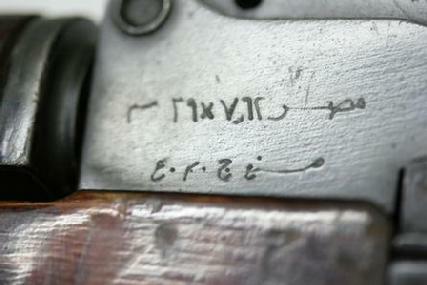 The first step in any tracing operation is to identify a weapon uniquely by its physical characteristics and markings; including: the model of weapon, the manufacturer's marks, the serial number, and sometimes (albeit rarely) an importation mark. Once the weapon has been identified uniquely (for example, an AK-47 with serial number 84675673), it can be traced back to a single manufacturer. If the manufacturer retains transfer documents, these will identify the recipient of the weapon. Likewise, the recipient may retain documents that indicate the re-sale or re-transfer of the weapon to a second recipient. Following the documents in this transfer chain 'forward' from the point of manufacture can identify where and when the weapon was diverted from lawful ownership (for example a national military) onto the illegal market (for example, into the hands of an insurgent group). 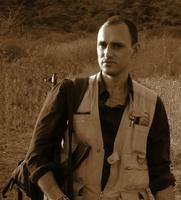 Weapon tracing is a particularly powerful tool for understanding how the illegal arms trade operates. It is a particularly effective means of establishing firm evidence of foreign support for armed groups, insurgents and terrorist organizations or to identify failings in the management of arms and ammunition. In most cases ammunition tracing operates like weapon tracing. Unique markings, such as a serial or lot number, enable the item to be traced in transfer (e.g. sales or shipping) documentation. This process is relatively straightforward for larger items, such as artillery shells, missiles, mortar bombs and rockets. For management reasons (mainly related to shelf-life and safe storage) these larger items are marked with lot and batch numbers, which indicate the type and origin of the explosives and propellants used in the ammunition and the date of manufacture or assembly. This information enables the identification of one transfer of ammunition (e.g. a sale or shipment) because transfer documents usually list lot or batch numbers. Tracing smaller items of ammunition is more difficult, because small-calibre cartridges (such as those used in firearms) rarely have lot or batch numbers marked on them.1 Instead, this information is usually marked on ammunition packaging, such as wooden crates and metal containers. Once separated from its packaging (which is often the case when ammunition circulates illegally) it becomes impossible to identify small-calibre ammunition uniquely. 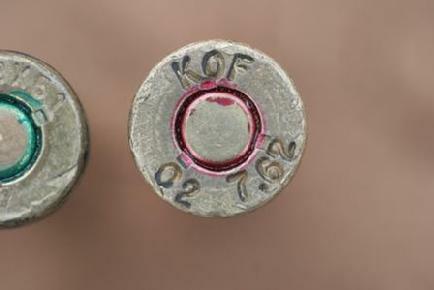 For example, in the image above, although the cartridge is marked on the base with a manufacturer's mark (KOF), a date mark (02) and the calibre (7.62) it does not feature a lot or batch number. The factory concerned may have manufactured millions of cartridges that are marked identically and sold them to many recipients. Only the information on the ammunition boxes (the lot or batch numbers) can be matched to transfer documents (such as sale or shipping receipts). Once separated from its packaging, small-calibre ammunition effectively 'loses its identity', which necessitates identifying transfers through a process of elimination. See James Bevan's 2008 book Blowback for a working example of this method. More information on weapon tracing can be found on the Research Resources page of this website.